How Best to Handle Linking in DITA Writing Assistance, Inc.
Darwin Information Typing Architecture (DITA) is an XML-based open standard that provides the technology foundation that controls and manages creation, translation, workflow and publishing of content. Its use in the technical publishing community has continued to blossom. But as most communications professionals will tell you, DITA is not without its headaches and drawbacks. In this post on Content Wrangler, Mark Baker provides a very detailed look at potential issues with linking in DITA publications. He not only looks at direct issues to consider within DITA itself, his discussion includes consideration for usability and how and why humans read. 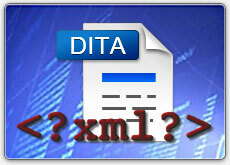 What are your thoughts on using links in DITA? Should you keep them inline with your content, place them in a table at the end or avoid them all together? Please leave a comment below with your thoughts and experiences, and let us know what you like and don’t like about using DITA.